New steampunk theme kit called "Leanne" matching tube by Josephine Sha by the same name, with a palette of balck, winde, browns and white. However, you can use any tube of your choosing. 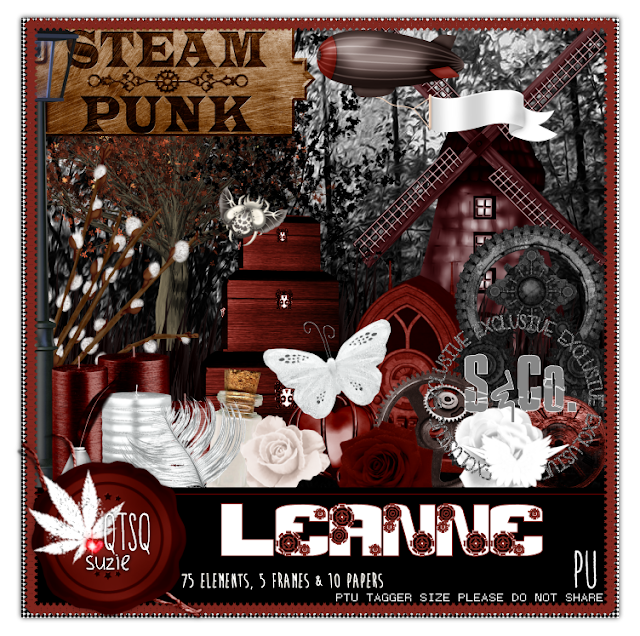 This beautiful kit contains 75 elements, 5 frames & 10 papers. Deya is available in store now HERE. Leanne is available in store now HERE.